It all started back in January when The Food Safety Authority of Ireland discovered traces of horse DNA in burgers sold by a range large retailers such as Tesco, Aldi and Iceland. Since those heady and lawless days we’ve witnessed 10 million burgers go homeless, one supplier crippled and a potential new solution to solving world hunger. However, with the majority of British and Irish society having potentially fed their children the food industry’s take on Frankenstein’s monster, should we be concerned that our children may soon tragically be referred to as ‘The Quasimodo Generation’? In fact, horse is nutritionally a superior meat to beef with significantly less levels of fat, lower sodium content and higher protein levels. However, if this alien meat is actually better for us, being widely consumed in other societies and consumers were none-the-wiser until the food police came to shut down the DJ and hand out a few ASBO’s, then what is the real significance of this entire scandal? In consumer terms it adds another piece to the healthy eating puzzle and highlights once more the value in knowing what exactly is in the food we eat. The real issue was not that the meat was horse, but instead that consumers felt as if they had been lied to in trusting labels that claimed they were 100% beef, when some were more than 60% horse. New research from Which? has demonstrated the depth to which this breach of trust has impacted the mindset of shoppers. They found that six in 10 consumers have changed their shopping habits as a result of the horsemeat fiasco and consumer trust in the food industry has dropped by a quarter (24%), with 30% now buying less processed meat and a quarter (24%) buying fewer ready meals with meat in or choosing vegetarian options. Two thirds of people (68%) don’t think the Government has been giving enough attention to enforcing labelling laws, with half of consumers (50%) not confident ingredient information is accurate and 83% agreeing that country of origin labelling should be required on meat products. There are also various reports that suggest that premium and independent retailers are likely to benefit from the fall out of shoppers from affected brands like Tesco. However these rely mostly on anecdotal evidence. What it does do is to serve as another reminder that when it comes to food, you often get what you pay for. The true legacy of ‘horsegate’, however, will be seen in the way businesses, and particularly those in the food industry, will now scrutinise their supply chains. The sheer complexity of the chain involved with the Findus scandal saw the meat on the scenic tour of Europe with a seemingly endless number of different agents taking a cut for simply passing it onto the next man. From this point forward supply chains will be examined, shorten and simplified as brand owners may finally understand the importance and value of being able to trace their products back to their source. The benefits of adopting these changes are not simply through avoidance of potential embarrassment. Shorter supply chains with greater emphasis on transparency build valuable, stronger relationships that can translate into commercial advantages through traceability and dependability. Understanding what occurs at every step of the supply chain and creating strong bonds with suppliers affords you peace of mind and the ability to make assertions that aren’t going to come back to bite you. 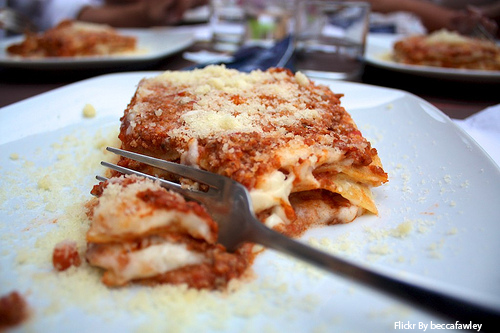 Another significant mark that will be left behind from Frankenstein’s lasagne will be the new level of stringent DNA and product testing throughout the food industry. For many it came as no surprise that horse meat resided in these apparently beef products. The relentless drive of supermarkets to offer cheaper and cheaper food was never going to be a sustainable option without having to make certain concessions. Some have suggested that there is an element of karma and irony surrounding ‘horsegate’ as many of the consumers outraged by it all are the same consumers who expect the meat they’re eating to have lived a life like Peter Rabbit, but demand increasingly lower and lower prices. Whilst this could arguably be dismissed as snobbery, there does appear to be an element of truth in it. Britain has one of the highest health and safety and animal welfare standards within the EU, yet many shoppers appear to expect this to come at no added cost. Farmers themselves have been angered most by this aspect of the scandal. Fundamentally, the horses used will not have been reared for consumption and will have been exposed to chemicals, antibiotics and other things that shouldn’t be eaten by humans. Yet it appears the repercussions for supermarkets and their suppliers will be minor. However, for example, if a dairy farmer failed to withdraw the milk of a cow treated with antibiotics they would be facing a heavy fine as a bare minimum. High standards are something we should be proud of and continue to uphold, but ‘horsegate’ has once again highlighted the chokehold supermarkets have over producers and the need for increased regulation on their activities. Only time will tell whether this latest food industry scandal drives them towards independent and premium retailers that source from quality assured, British farms. However, what is certain, is that wholesale regulatory tightening is being, and will continue to be, implemented over the course of the year. This entry was posted in Uncategorized and tagged Beef, Horse Meat, PARTNERS IN PURCHASING, PIP, Scandal. Bookmark the permalink.